As an active member in the Central Florida Community, Damon Basco has committed himself to helping clients achieve their financial goals. Damon joined AXA Advisors’ Retirement Benefits Group (RBG) in 2003 as a Retirement Benefits Specialist Tax Sheltered Plans. Damon also served as District Vice President for Orlando’s RBG team for 4 years. In 2012, Damon joined Wealth Management Strategies of Central Florida as a Senior Partner. Upon completion of his service in the U.S. Navy, Damon went on to earn his Bachelor’s in Business Administration from Webster University. 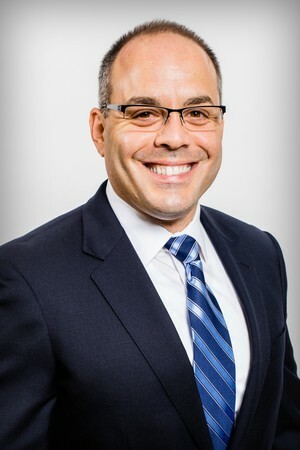 Damon began his career in the financial services industry in 1999. Staying on top of his field and developing his professional skills has been a top priority throughout his career. Damon has continuously attended industry training and has obtained the Series 7, 24, 52, 63, and 65 registrations and has obtained his CERTIFIED FINANCIAL PLANNER™ professional certification. Maintaining a strong sense of community and family is very important. Damon currently serves on the board for the City of Oviedo Police Officers Pension Fund. Damon has also served on the steering committee for the Orange County Public Schools, “Change Starts With Me” community initiative, the Board of Trustees for the City of Winter Springs and the board for the Society of Financial Service Professionals, Central Florida Chapter. He is happily married to his wife, Samantha, and they have three beautiful children Ryley, Bayley and Caden. When Damon is not helping his clients reach their goals, he enjoys exercising and spending time with his family. The approach of Wealth Management Strategies is to help you build a plan that is custom-tailored to your personal goals, needs and individual situation. Damon's team will help you to focus on what's most important to you, to pinpoint your financial objectives, and to identify specific strategies to help you strive toward turning your dreams into realities. Securities offered through AXA Advisors, LLC (NY, NY 212-314-4600), member FINRA, SIPC. Investment advisory products and services offered through AXA Advisors, LLC, an investment advisor registered with the SEC. Annuity and insurance products offered through AXA Network, LLC. CFP® and CERTIFIED FINANCIAL PLANNER™ are certification marks owned by the Certified Financial Planner Board of Standers, INC. These marks are awarded to individuals who successfully complete the CFP Board’s initial and ongoing certification requirements.